A sailboat on the York River, framed by the shape of the commonwealth of Virginia. Yorktown was founded as a port on the river in 1691 and was an important site during the Revolutionary and Civil Wars. 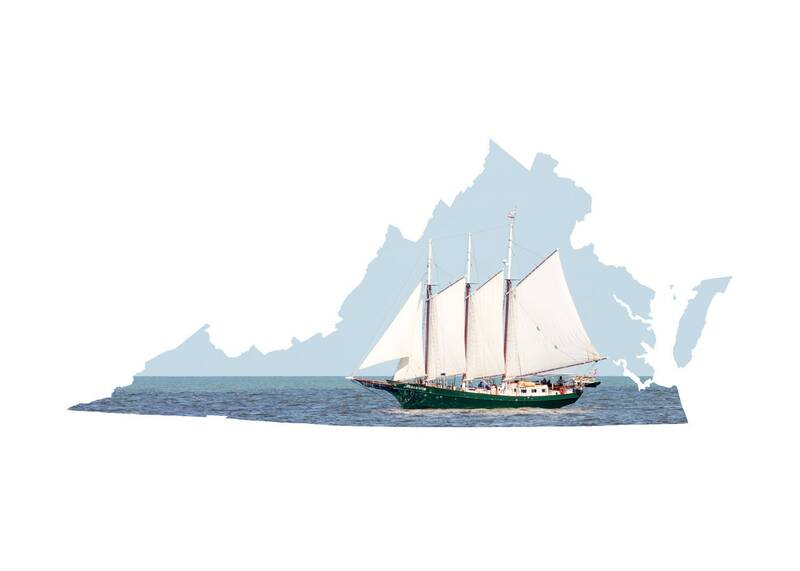 Sailboat cruises today harken back to Virginia's colonial and naval past and its important role in United States history.